1) Robust all steel construction, capacities from 500 kgs up to 20 tons. 2) All rotating components mounted on roller of ball bearings to reduce friction and increase efficiency. 3) Fully enclosed automatic load brake with asbestos free friction discs. 4) Fully enclosed stamped steel housing allows also outdoor use. 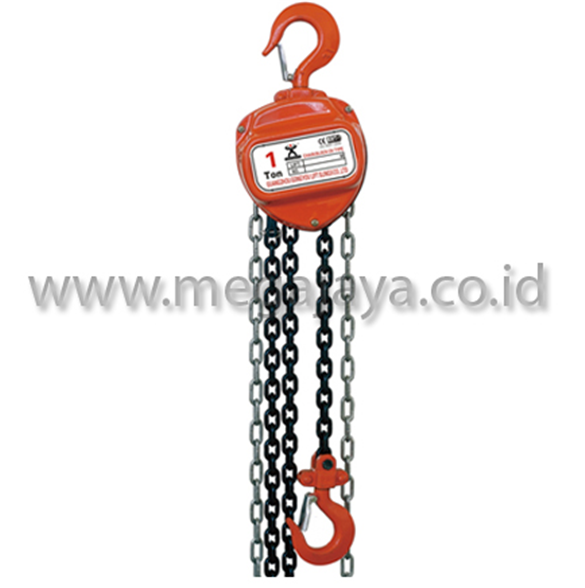 Unbelievable price on Chain Block CK in Jakarta (Indonesia) company Mega Jaya, Company.